There's more to a successful campaign than spinning the marketing wheel of fortune and hoping for the best. This all-encompassing guide shows you how to develop and execute winning plans that result in growth and revenue every time. 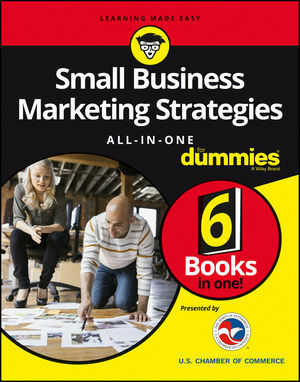 Get ready to incorporate tried-and-true marketing methods that will put your small business on top. The U.S. Chamber of Commerce is the world's largest business organization representing the interests of more than 3 million businesses of all sizes, sectors, and regions. Join Small Business Nation today, at uschamber.com/joinsbn.